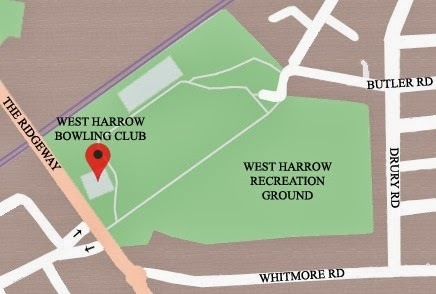 We are situated in West Harrow Recreation Ground, just inside the park on the left at the Shaftesbury Avenue entrance (see light blue square on the map below). The roads most convenient for parking are Welbeck Road, Twyford Road, Furness Road, Tintern Way and Whitmore Road. West Harrow Station, which is the nearest underground station, serves the Metropolitan line and is an 8 minute walk from the club, through the park.